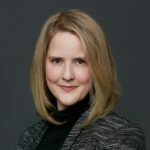 Suzanne O’Brien is a Career Advancement Coach and is the Founder and CEO of LevelUp Careers, which she established to provide greater awareness, understanding and tools for aspiring executives to achieve their goals. She brings extensive experience working with executives and leadership teams of high-growth, global companies for over 10 years. Having grown up in the recruiting business, she is driven by a lifelong passion for helping others achieve career growth and transformation. 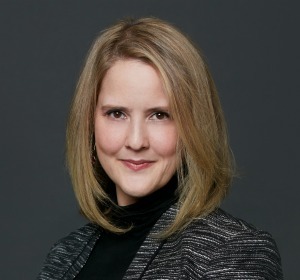 With her proven approach to career planning, Suzanne has helped 1,000+ executives and mid-career professionals make a career change and simultaneously take a step forward professionally. As an Executive Recruiter for 7 years, Suzanne built a reputation for placing out of the box candidates – those who didn’t necessarily tick all the checkboxes, but were ultimately the best suited to do the job. 57% of Suzanne’s placements were someone who didn’t meet the requirements, and far exceeded the client’s expectations. Additionally, with an industry averaging just 25% women at the executive suite, Suzanne’s distinct approach to recruiting (focusing on deliverables for the role) resulted in a 45% placement rate of women. Her ability to find world-class candidates afforded her the opportunity to perform executive searches for some of the most well-known biotechnology and high tech companies across the country. She has driven VP and C-Level searches with some of Silicon Valley’s most exciting tech companies backed by Sequoia, Bessemer, and Lightspeed Partners, Khosla Ventures and NEA. Prior to taking on a leadership role in Executive Recruiting, Suzanne managed the strategic services program for the New Zealand Government in North America. In this role, Suzanne worked closely with CEO’s on global expansion strategies and recruited C-Level executives to the Board. As part of her role, she worked with New Zealand’s largest companies on development of talent attraction, retention and employee development strategies. In her spare time, Suzanne has served on the Los Angeles board of MBA Women International and is a Founding Member of The HUB, a social impact accelerator in Los Angeles. She has served on the Graduate Management African Pipeline Advisory Group, along with representatives from top business schools including Kellogg, Booth, Maryland, Wharton and Stanford.